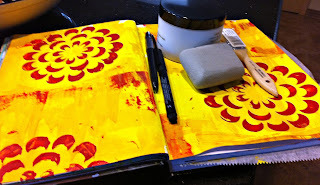 I decided that today I was going to do something "I" wanted to do.......so I messed around in my art journal all afternoon and boy did I have a good time :) I have to say a good day is a day with paint on my hands. My son has even come home before and thought I had accidents before with red paint all down my hands and arms. So anyway.....I had bought a Ranger Craft Scrubbie a while back but never used it. It is for getting the paint and other mediums off your hands. Well let me tell you my hands were covered with dried on paint! I thought what the heck--I'll try it! Well let me tell you I would pay double, triple for this little thing. It is FANTASTIC!!! 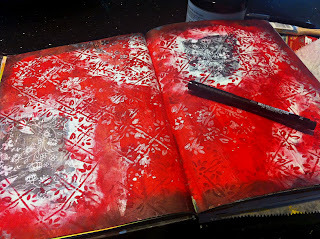 I don't know who enjoyed it more, me with my hands or my stencils that also got a bath. So I guess what my point is--if you ever wondered if it worked! YES--go get one!!! You're more than welcome to stop by my blog and enter for a chance to win some blog candy! WOW! Your project is great. 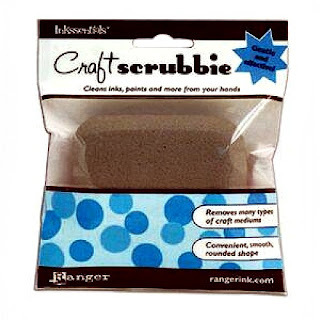 I will have to invest in one of those craft scrbbies, sounds like a great item. Thanks for the tip. I wonder if it works when you're painting walls in a house? I'll get one when I have the opportunity. Glad you had a fun day doing what you wanted. Yay! I LOVE reviews!! I'm going to have to put this on my "must have" list. 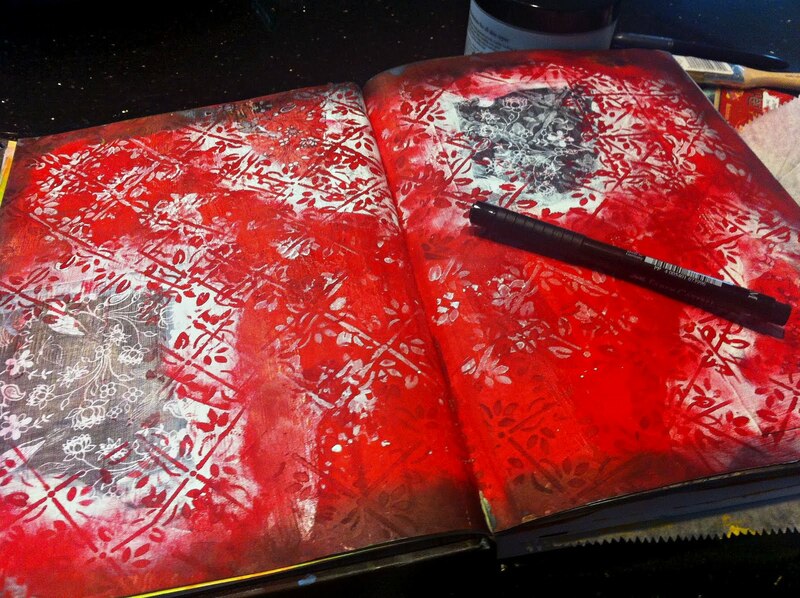 And your Art Journal is gorgeous...love the vibrant colors!! tfs! i will have to look for them.